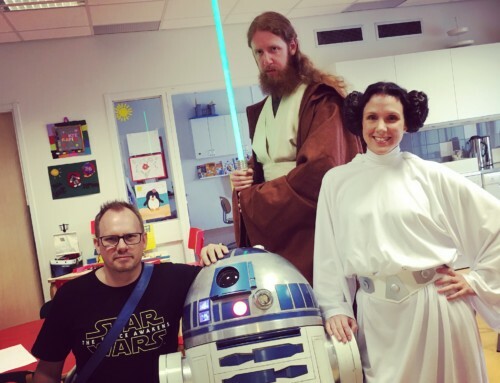 Down by his feet, R2, has a strange cylinder that sticks out. Actually on the middle foot he has two, but I have two of them from resin already, but I need two more! After looking around, I found a 32mm PVC pipe for plumbing that is sold by the meter and went to the store to pick one up! 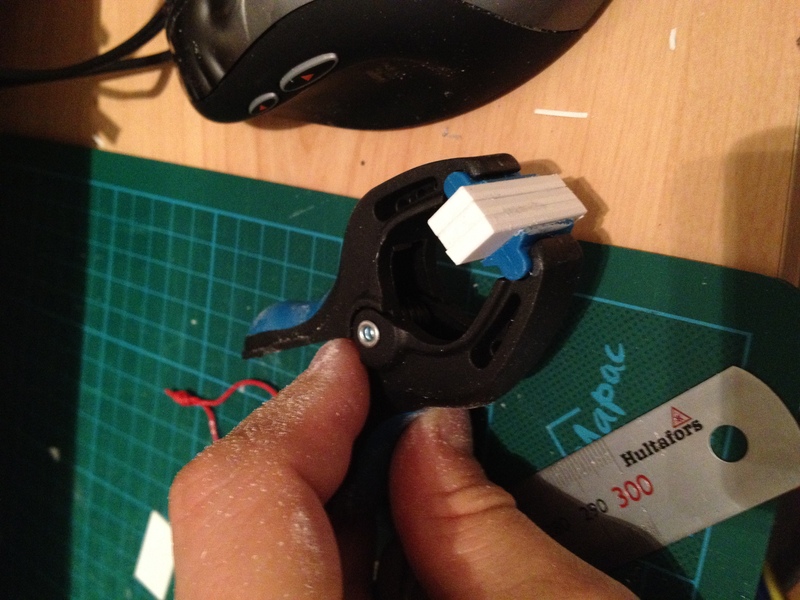 Looks good, but what I didn’t know is that CA glue does not work with PVC. First attempt down the drain. 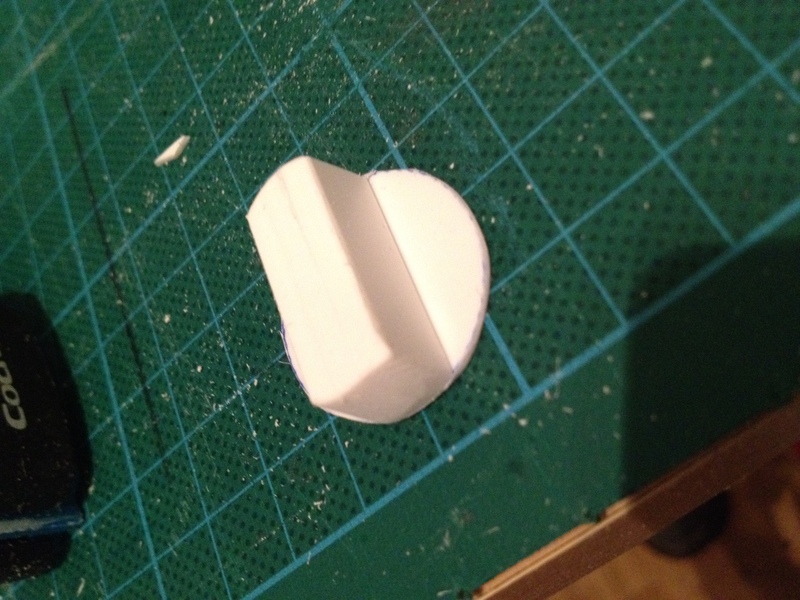 Second attempt: styrene cement! Works much better, and after sanding the PVC it actually sticks! Why glue in the first place? 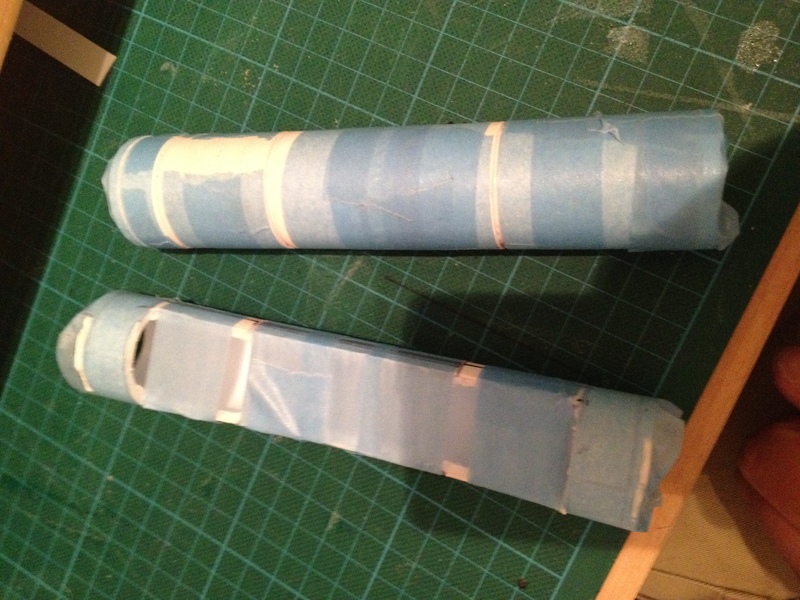 Well, the cylinders have certain grooves cut in to them, and it is slightly bigger, so I decided to cover the 32mm pipe in 1mm styrene, making it 34 mm in diameter, and cover it in sections, so I’ll get the groves around the cylinder! First thing, is to sand the PVC properly to get the glue to stick. 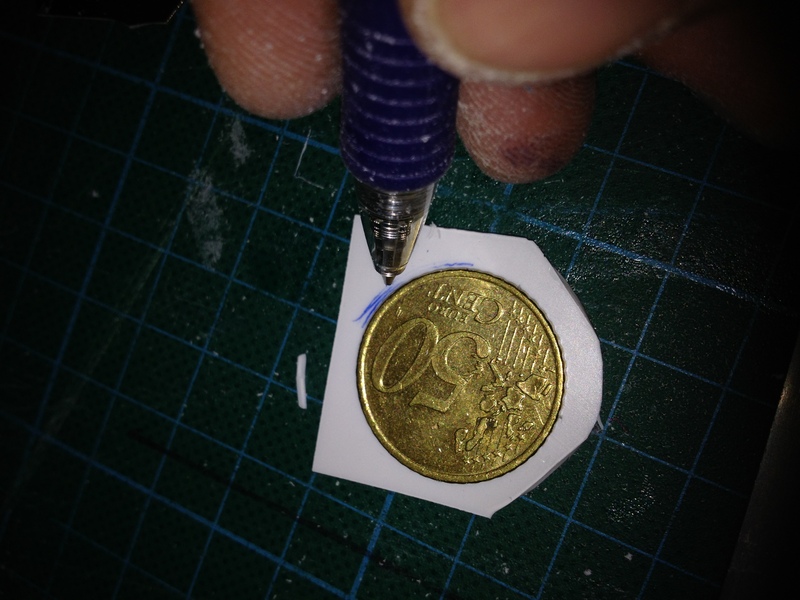 Second was just wrapping a piece of 1mm styrene carefully measured right around the middle, and tape it up good for a couple of hours! Once that has set, I continue with the next “section”. Once the first one was dry enough, I glued up my second one, and cut open the first with my dremel. I needed to add a little extra glue, so I let it sit for a while. A quick test fitting on one of my legs told me I had the right dimensions! Now the easy part is done. 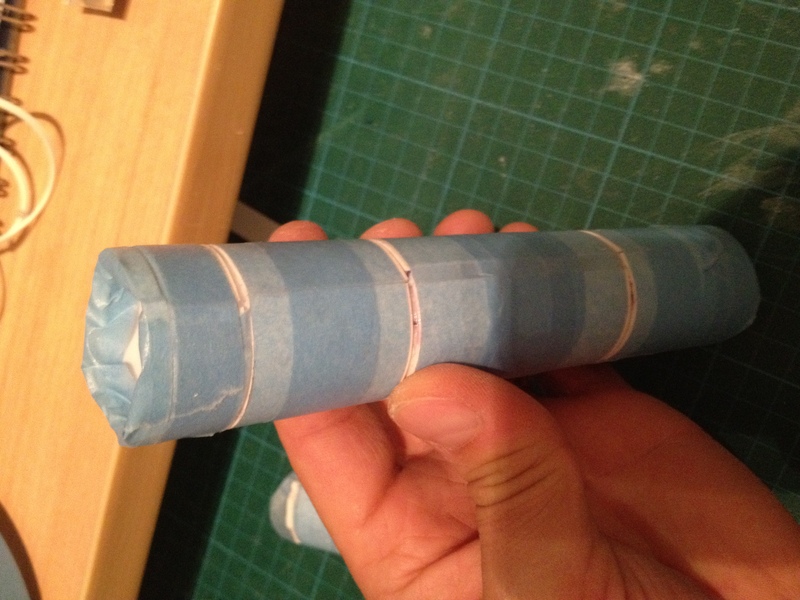 The cylinders also have end caps, that has some deal to it, and that was my next task. I started just making simple end caps for the cylinders to have something to work with. I don’t have a circle cutter, so these were cut by hand. I started with a square piece, draw the outline of the original tube on them, then cut closer and closer to the line until all that was left was easily removed and rounded with some sand paper. 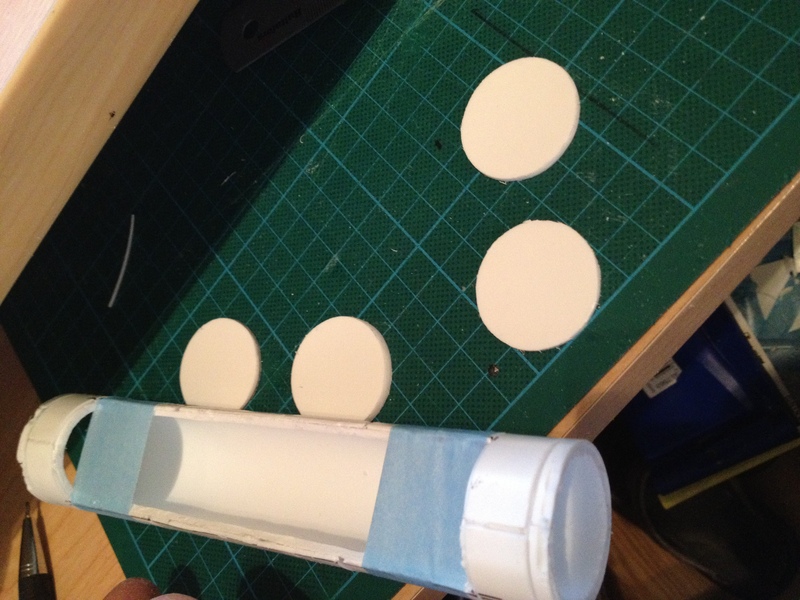 Once these were done, I made a end cap base out of 1mm styrene. 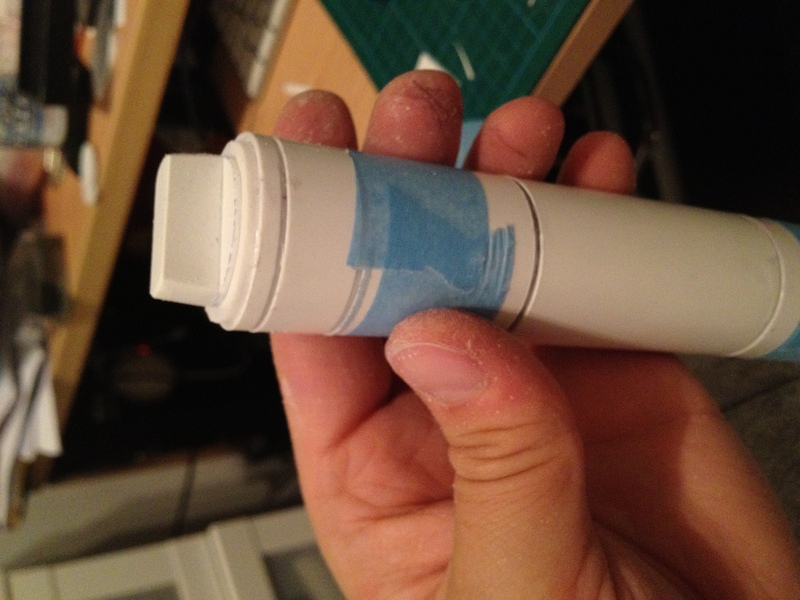 This will be glued on top of these end caps that will just close up the tubes and nothing else. These are 6 mm (about 1/4 of an inch) smaller in diameter than the first plugs. It is these plates that will also get a sort of “handle” on them. 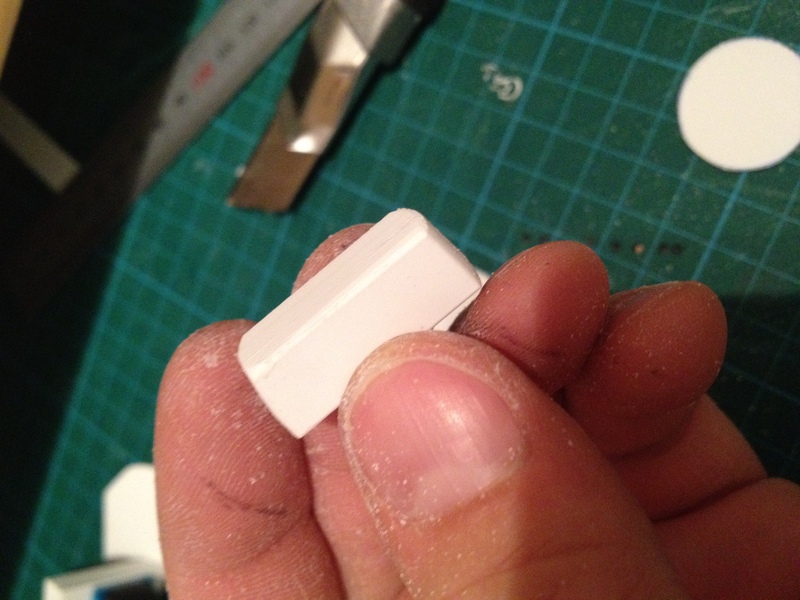 To make the handle, I started with 3mm styrene and glued 3 pieces together to get the proper thickness. By micke|2016-12-06T00:01:45+00:00March 2nd, 2012|R2-D2|Comments Off on Scratch building ankle cylinders!